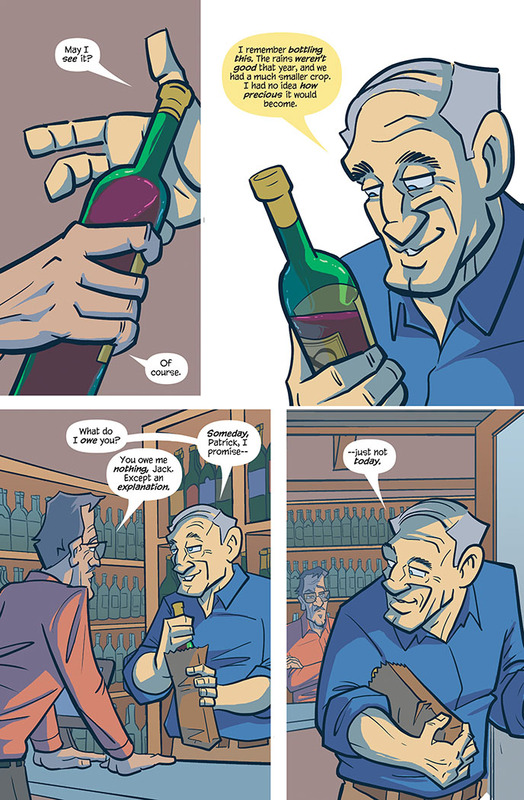 From the creator of the Harvey-nominated Love and Capes comes the story of a magical winery where every glass takes you back in time to the year the wine was bottled. From the Civil War to the Roaring Twenties to yesterday... it's all available with just one sip. Megan is looking for a break from taking care of her Alzheimers afflicted mother and finds the ultimate escape when Jack, the owner of the Aeternum Winery, reveals its time-traveling secret to her. Together, they drink their way through history, both the winery's and their own. In time, Megan learns a family secret that her mother may not even remember and discovers that Jack is keeping one of his own about his late wife. Thom Zahler (Love and Capes, Long Distance) brings his trademark sweetness and humor to distill a story of magic and romance told across the two-hundred year canvas of New York's Hudson Valley. "What really matters is the relationships between characters, which Zahler builds with compassion and empathy." 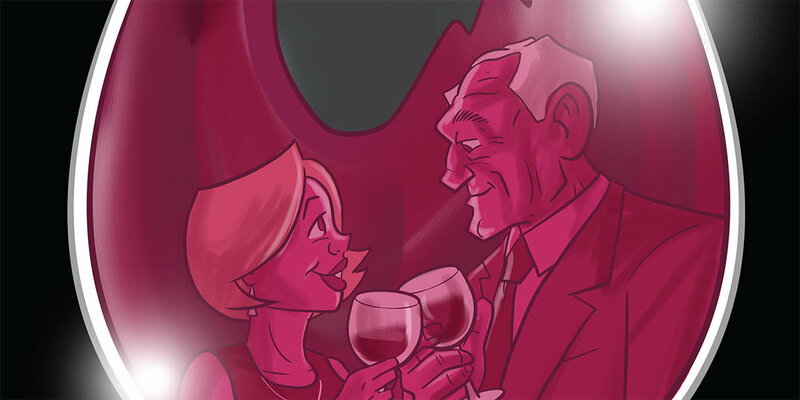 "Time & Vine's the sort of quirky play on a classic scifi story trope that you'd be hard pressed to find from a larger comics publisher, but that's exactly what makes it charming to page through." "A charming, heartfelt time travel tale. 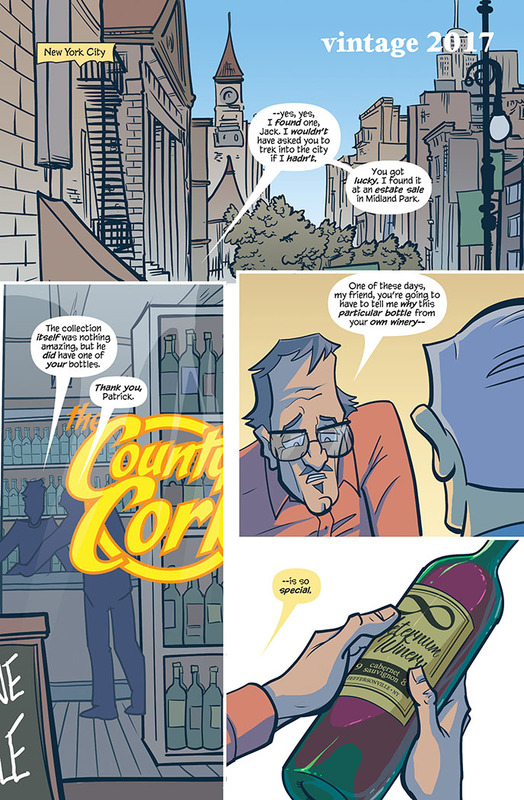 If you're a fan of Jack Finney, Rod Serling and well-crafted comic books, you'll have a great time with Time & Vine." In Time and Vine, Thom Zahler takes on the universal imagining that we all have at some point"¦ "What if we could keep it all from going away?". 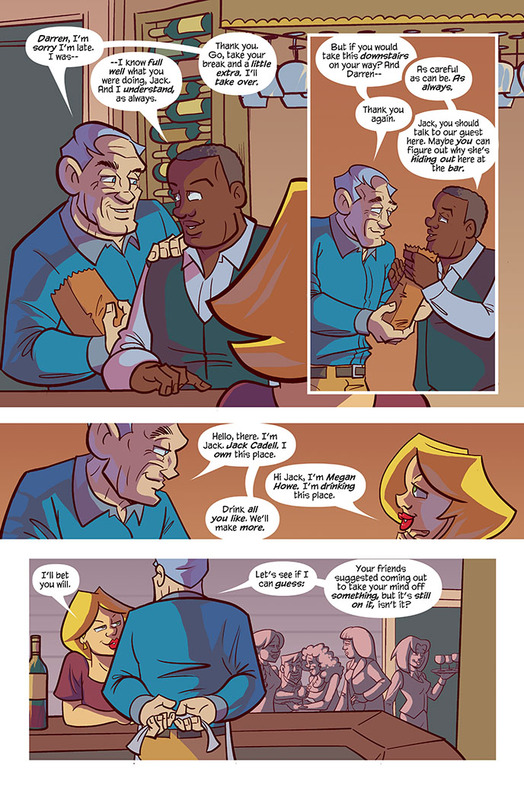 In these pages we find a mature artist at the top of his game. We also find art that is lush and writing with heart. But it's the concept he invents to tell his tale that elicits my highest praise"¦ I wish I'd thought of that. "There's a depth and humanity to this multi-generational tale that transcends its time-traveling genre origins. And I don't even drink wine." Thom Zahler has the uncanny ability to find a universal appeal in characters he creates, making them relatable and always funny. Add in a I-can't-believe-no-one-else-thought-of-this time travel element and you have the fantastic "Time and Vine." 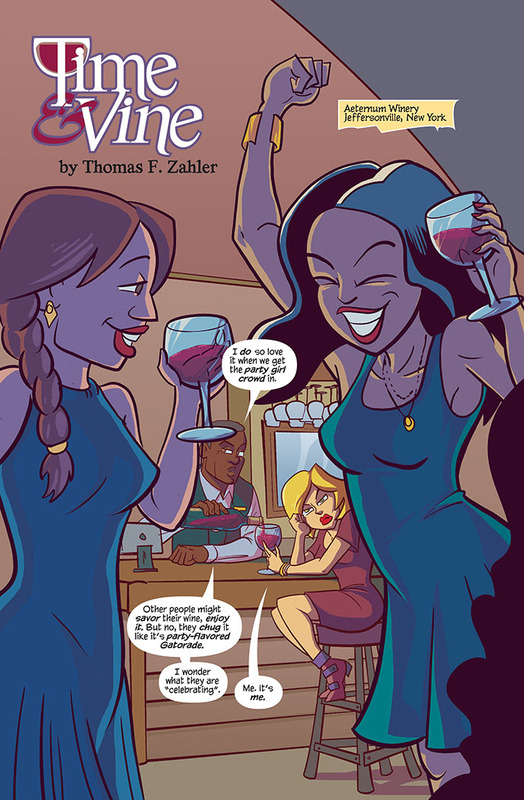 Time & Vine has all the Thom Zahler hallmarks: fresh ideas, insightful characters, a touch of whimsy, and more than little humor to bring the magical realism to life. This is a fine vintage that goes down easily. 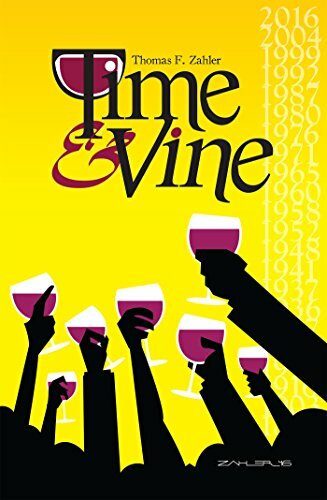 "Time and Vine is a heady mix of romance and fantasy, with a delicate hint of wistfulness that lingers after a satisfying finish. I have no doubt it will age well into a classic." Creator Blade, Black Cat, Bullseye, New Teen Titans, Deathstroke and a whole lot more. "Thom has the innate ability to create characters that are instantly identifiable and stories that immediately draw you in. His dialogue is always so smooth and comfortable that you're already two or three pages in when you realized you're hooked. And happily so!" "Thom Zahler's storytelling is like soul food--his art and writing makes a meal that leaves readers happy, warm and fulfilled."